NDA candidate Ram Nath Kovind has been elected the country’s 14th president. Former governor of Bihar, Kovind (71), will be only the second Dalit leader after RK Narayanan since Independence to occupy India’s highest ceremonial post. 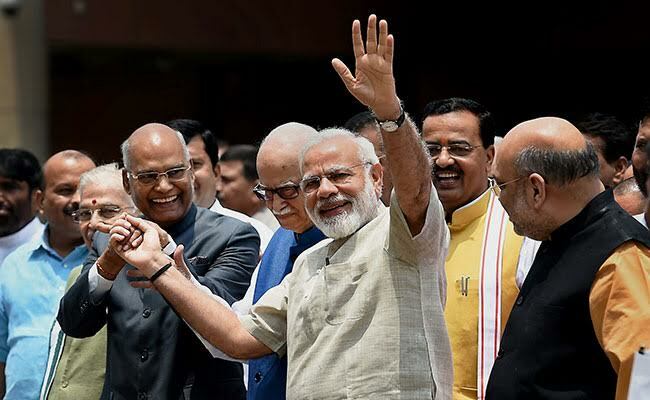 In the final vote count, NDA nominee Kovind received 65.6 per cent votes translating into 702,044 electoral college votes, while UPA candidate Meira Kumar managed to get 34.35 per cent (367,314 votes). According to reports, there was cross voting in UP, Gujarat and Goa during the elections, which resulted into Kovind’s massive 2/3rd votes. 522 MPs voted for Kovind, while 225 parliamentarians voted for Meira Kumar. Current President Pranab Mukherjee’s term is ending on July 24 and Kovind will take oath the next day to become India’s 14th President.